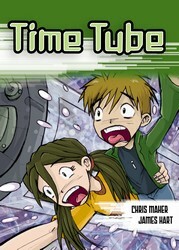 The Time Tube looks at convention and value. 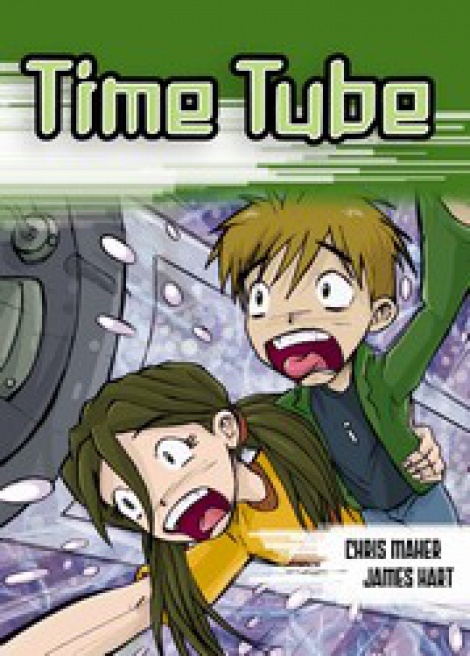 Sam Cherry's father has invented a time machine, and Sam and his best friend Tracey are accidentally sent to the future, where high land tax means all homes have to float in the sky. They meet Marvin Martin and learn to ride hover disks, but what does Marvin really want? Sam and Tracey escape back home but Marvin sneaks back with. Can they escape him?